The name Thorn-Clarke derives literally from the relationship between two long time Barossa families. The winery owners are David and Cheryl Clarke (nee Thorn) and their daughter Nicole and son are also involved in the running of the winery. Cheryl’s father Ron Thorn has one of the oldest Shiraz vineyards in Australia on the Thorn family property ‘Clifton’ outside of Angaston which was in existence in 1854. David Clarke’s family were pioneers in the Barossa as well but most famously in the mining of gold from the Barossa Goldfields. One of his ancestors was James Goddard who was the responsible for opening the Lady Alice gold mine in the Barossa goldfields and which was the largest gold mine in South Australia at the time. It has been David’s love of the wine industry that saw the planting of the Kabininge vineyard outside of Tanunda in 1987. The planting of the Kabininge vineyard represented the start of a deeper involvement by the family in the Barossa wine industry. The estate has vineyards in Eden Valley and the Barossa. Within Barossa there is the Kabininge vineyard, St. Kitts and Truro. The 33 hectare Kabininge vineyard is true Barossa Valley floor terroir, just 270 metres above sea level, and located on dark grey to dark brown carbonaceous soils (known as Bay of Biscay) with 500mm of annual rainfall. The vineyard is predominantly Shiraz, supported by smaller plantings of Cabernet Sauvignon and Cabernet Franc. The St. Kitts and Truro vineyards are cooler and with lower rainfall than Kabininge and these northern Barossa vineyards totalling 103ha, are at an elevation of between 380 and 410 metres (480mm rainfall). Their micro-climate restricts yields and the thin, moderately well developed residual soils overlying marble, schist, Truro Volcanics and Heatherdale Shale necessitated a careful vineyard layout matching variety to soil type.These tough conditions make vines work hard and as a result, the flavour profile is intense and acid levels high, providing the resources for long-living red wines and full flavoured whites. Shiraz is particularly well suited to this environment. Shiraz again is the predominant variety with Cabernet Sauvignon, Merlot, Malbec, Nebbiolo and Viognier. The William Randell Shiraz and Cabernet Sauvignon are named and created in honour of family ancestor and Australian pioneer, William Richard Randell (1824 - 1911). He emigrated to South Australia in 1837 aged 13 years with his family, only ten months after the Colony of South Australia had been founded. The 2010 vintage followed good winter rainfall in 2009 and allowed the vineyards to commence the 2010 season with good soil moisture levels. This soil moisture, combined with moderate weather conditions throughout most of the growing season allowed for good fruit set and canopy development. Following harvest the fruit was crushed into a variety of small fermenters (4 to 6T in capacity). Fermentation was carried out at a warm temperature (25-28°). The ferments were manually pumped over to provide good control of tannin extraction. Each fermenter was treated as a separate parcel of wine and once dry was filled to American oak (40% new). Following malolactic fermentation the wines were racked and returned to the same oak. Parcels remained in barrel for an average of 16 months prior to blending. Only the best barrels from the multiple parcels were used to make the final blend. Once blended the wine was prepared for bottling. Deep purple in the glass, the nose and palate have powerful fruit in abundance. But this Barossa Shiraz is not overpowered by alcohol or fruit, with fine tannins with American Oak adding complexity to the character and a complex finish. This was a very enjoyable Shiraz with plenty of character and a wine I would heartily recommend. The Scholz's Australian story began in 1845 when 40 year-old Johann Gottfried joined his neighbours to flee the religious persecution of his Silesian homeland, and emigrate to the Barossa. He settled at Light Pass, a village which enshrined the work of SA's first Surveyor - Colonel William Light. As well as founding Adelaide, Light had discovered this vital passage through the Mount Lofty Ranges to the River Murray and the Eastern States. Like the other settlers, Johann established a mixed farm of sheep, cows, crops and fruit trees as well as a few grape vines along the alluvial banks of the North Para River. Johann had also spent most of his early career as a bone-setter in the Prussian Army, a skill much in demand by the settlers of Light Pass. In 1914, when World War I broke out against Germany, fourth generation Herbert Bernard left for the United States rather than be interned and on his return in 1918, Herbert expanded the hospital he had founded before his departure sold a range of Scholz remedies patented by his brother Albert. Herbert's son William Herbert, known as "Bert" studied medicine to continue the family tradition and in the late 1960s Bert had been visiting "home" on weekends, turning his attentions from the old hospital which had closed, to the family's commercial vineyard which was planted in 1936. Unfortunately Bert's enthusiasm about grapegrowing coincided with the industry's worst downturn. In the late 1970s the "red wine boom" became the "red wine glut" and Bert sought a better price for his grapes by transferring his contract from the Kaiser Stuhl Cooperative to Saltram, where an old family friend, Peter Lehmann was chief winemaker. Not surprisingly, Bert's son Peter took his first winemaking job with Peter Lehmann at Saltram in 1979. Here he entered a dynamic environment, working with Andrew Wigan and Charlie Melton and the Baron himself to produce signature styles of Barossa Shiraz and Cabernet, Riesling and Semillon. In 1989 the Scholz family opened a cellar door adjacent to the century old hospital and started selling the first wines under The Willows Vineyard label. First planted in 1936 The Willows Vineyard is located on the banks of the North Para River near the village of Light Pass. This northern Barossa location is distinguished by its cooling gully breezes during vintage, providing slow ripening and a clearer expression of berry and spice flavours in red wines and lifted varietal fruit characters in whites. The 100 acre Willows Vineyard ranges from deep alluvial soils, ideal for root development and the vigour of Cabernet and Semillon, to red brown loam over clay and tough sandy soils where old Shiraz vines produce premium quality fruit. The vines range in age - from the Semillon which is more than 70 years old to the Shiraz, Cabernet and Riesling which were planted in the 1960's and 1970's. The vines are hand pruned in July and August, establishing a foundation for the controlled yields and quality expected in the following year. Supplementary watering is used to maintain vine health and ensure ripeness and maturity. Watering is restricted to control yield but balanced by the need to avoid stressing the vine too much, as it can be counter-productive to quality. "Our philosophy is that our wines must have generosity of fruit and you can only achieve that if you are in touch with the vineyard." 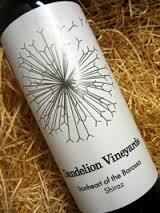 "Not only are our wines 100% Barossa but they are sourced entirely from our own single vineyard at Light Pass. We don`t have the choice of blending material so what you see is what you get. Everything we do-pruning, supplementary watering, shoot thinning, the time of harvest-is all aimed at achieving ripe tannins and demonstrating the vineyard`s fruit intensity." "We don`t want big alcoholic, porty reds - We aim for silky ripe tannins rather than grip and want the fruit to shine through in our Shiraz and Cabernet." "We are also judicious about our use of Oak-we extend the time in barrel to two years but we generally use at least 50% second and third use barrels. We are looking for softness and stability-maturation character not overt oak characters." This is a classy wine from Australia's Barossa valley with the concentration of fruit you'd expect from the region but with plenty of complexity as well. The 2010 vintage in the Barossa was a good one. It is deep purple-crimson in the glass, peppery aromas on the nose, with the palette full of berry fruit and a little spice notably cinnamon. It is silky smooth and has a long finish with hints of mocha. The 45 acre (18 hectare) vineyard in the Barossa Valley which makes up the Hanenhof Estate, was initially purchased in 1853 by George Friedrich Schmidt for one pound an acre. It consists mainly of the sandy loam soils that dominate the Barossa Valley floor. These soils have proven excellent for producing some rich, luscious Shiraz and Cabernets. 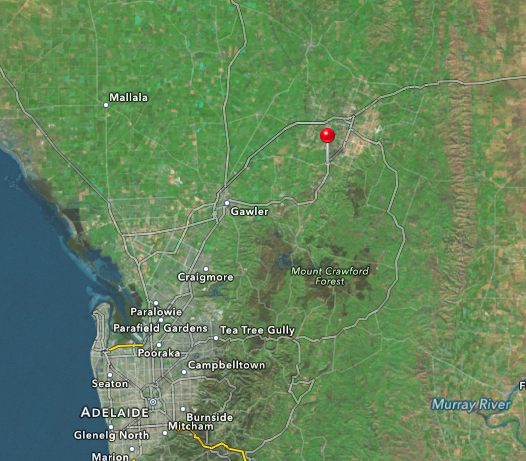 The Barossa Valley is in South Australia, located 60 km northeast of Adelaide. Hanenhof Estate is owned by Hans and Fransien Haan, and was purchased in 1993, with the first wine produced in 1997. A few years later the property was expanded to 47 acres. Production is currently limited to approximately 4,000 cases, No grapes are purchased, and seasonal conditions sometimes dictate the quantities produced. The estate was set up focusing on Merlot, but it also produces small amount of Malbec, Petit Verdot, Semillon and Viognier overseen by Haan's vineyard manager, Robert Seelander. Most of the vines are on a simple vertical trellis system with moving wires to lift the foliage and expose the fruit to the sun for full development of flavour and character. The Haan philosophy is based on 'best practice' which means that the vineyard is run on a 'minimal input' system, offering considerable environmental protection. Chemical use is kept to an absolute minimum, as is irrigation and ground disturbance. This commitment to diligent natural resource management ensure that the vineyard has a long term sustainable future. Already this philosophy of providing the best possible conditions in the vineyard has been rewarded with some excellent wines from the property. The merlot grapes in this Haan Merlot Prestige 2009 come only from the Hanenhof Vineyard. The vines are 18 years old, grown on a sandy loam with a 2 metre clay base. The vines are trellised on a single wire with two foliage wires to keep the foliage upright and expose the fruit to the maximum amount of sunlight. The fruit was allowed to ripen to 15° baume before picking and cropped at a level of 3.5 tonnes per acre. This wine was fermented using a selected yeast to enhance fruit definition and depth. The skins were plunged and pumped over three times per day and the wine allowed to rest on skins for seven days to allow for maximum colour and flavour extraction. After malolactic fermentation the wine was racked into selected French oak barriques and allowed to mature for 24 months before bottling. Dark purple in the glass with a powerful aroma of black cherry and plum. The palate is complex with toasted oak, spicey and intense fruit and acidity. Silky smooth, with structured tannins and a super long finish. Perhaps a little excessive sweetness but nothing major. The merlot grape is much derided (Miles - Sideways), but this Haan Prestige proves what can be done with this grape in the right way and in the right place! The first Glaetzers settled in the Barossa Valley in 1888 after emigrating from Brandenburg, Germany. They settled in a town called Nuriootpa in the Barossa Valley where they started their new life in Australia. The family were some of the earliest recorded viticulturalists in the Barossa Valley and Clare Valley. Over a century later, Colin Glaetzer established Glaetzer Wines, a boutique family owned winery producing premium Barossa Valley wines. Today Colin’s son Ben carries on the wine making traditions at Glaetzer Wines. Ben Glaetzer graduated in winemaking from Adelaide University, after working at Barossa Valley Estate during school and university holidays. Having worked in the Hunter Valley and travelling extensively throughout many of the worlds wine regions, Ben returned to the Barossa and joined the family company. Robert M. Parker Jnr chose Ben as his Wine Personality of the Year 2005. Parker said: "When I look at the winemaker behind some of my favourite Australian wines, the name Ben Glaetzer seems to come up frequently. From a winemaking family dating back to the late 19th century, he has shown an exquisite talent for accessing fabulous vineyards and turning out world class wines from old-vine Shiraz and Grenache. His Amon-Ra Shiraz is one of the great new wines of Australia, made with power as well as elegance. This is a serious talent who has exploded on the wine scene with a brilliant array of wines". Ben has been made a "Baron of the Barossa" for his contribution to the cultural fabric of the Barossa Valley. Life membership of this wine fraternity is by invitation only. The Glaetzer mission is to focus, simply on the production of small-volume, super premium Barossa Valley wines. All fruit for their Wines is taken from the small sub-region of the northern Barossa Valley, called Ebenezer. The ancient dry-grown vineyards in the renowned Ebenezer district are an important part of Australia’s winemaking heritage and a living link to traditional Barossa viticulture. Exceptional fruit from a loyal group of third and fourth generation Barossa grape growers is the backbone of Glaetzer wines. The viticulture used is standard single wine, with permanent arm, rod and spur. The most exceptional fruit is sourced from 80-110 year old, non-grafted bush vines which are extremely low yielding. The oldest vines bear only 0.5 to 1 tonne per acre. Younger vines produce 2.5 to 3 tonnes per acre. Most of the vineyards are non-irrigated but some of the newer vines (propagated from original plantings) have supplementary drip irrigation to combat stress in drought years. The very old vines require minimal attention. Their deep root structure means they are self-sufficient and can adapt to climatic extremes. The climate and soils of the Barossa Valley vary markedly from north to south. The warmer Ebenezer district has low rainfall and relative humidity which results in full, intensely-coloured wines. The softness, elegance and approachability of Ebenezer fruit has become the hallmark of the Glaetzer 'house style’. Ebenezer has a unique soil profile. The well-drained sandy clay loam over a solid limestone pan is perfect for growing Shiraz. The soil is 'mean' and encourages deep roots which helps produce hugely concentrated wines of great character. Ferments are taken off skins early as Colin and Ben favour softness and palate structure over excessive extracted characters. The fermentation is then completed in either French or American oak, or a combination of both. The wine is racked and allowed to undergo natural malolactic fermentation. It is racked once more and matured for a further 12 to 18 months, depending on the vintage. This 2010 Bishop Shiraz is a classic example of a top quality red from the Barossa. This is a deep purple out of the bottle with strong aromas of berry, cassis and spice. At 15% a lower quality wine would be overpowered by alcohol and fruit but not this Ben Glaetzer. There is a powerful fruit hit on the palate but it is beautifully balanced with the subtely of vanilla and pepper ending with a very long and pleasant finish. I love this style of wine and this is exactly what I would want in the best of the Barossa. Now to try a few more Ben Glaetzer's! Dandelion Vineyards is a partnership between Peggy and Carl Lindner (40%), Elena and Zar Brooks (40%), and Fiona and Brad Rey (20%). It brings together vineyards spread across the Adelaide Hills, Eden Valley, Langhorne Creek, McLaren Vale, Barossa Valley and Fleurieu Peninsula. From vines over or approaching 100 years old, open-fermented with wild yeast, then spent 18 months in some new, mainly old, French oak barriques. Neither fined nor filtered. A great shiraz from the Barossa. Nose and palate have plenty of blackberry, plums, black cherries plus spice and tannin. Not over powered by alcohol, balanced fruit, tannin but a little acidic which may temper with ageing.